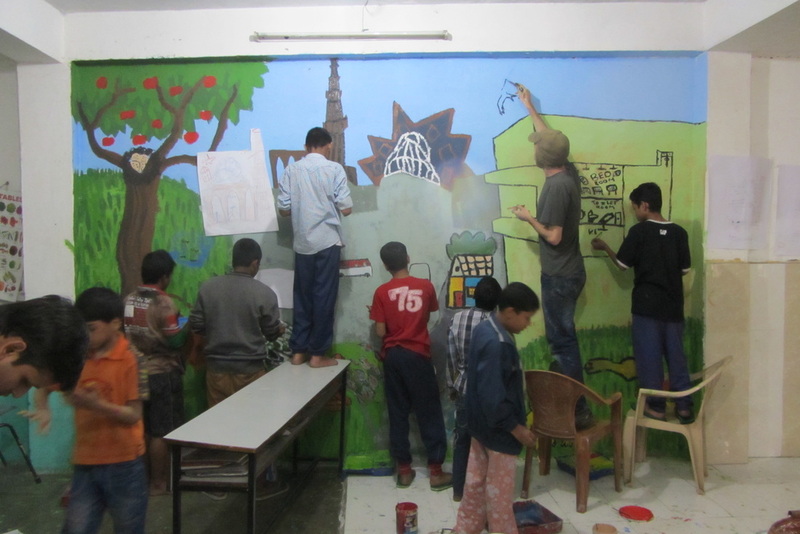 Since our first project in 2010, Artreach has arranged volunteer residencies for twenty artists from India and abroad. We have worked with ten NGOs and institutions to reach over five hundred children from local homes and schools who have participated in our programmes, with close to a thousand children and adults benefitting from our work. 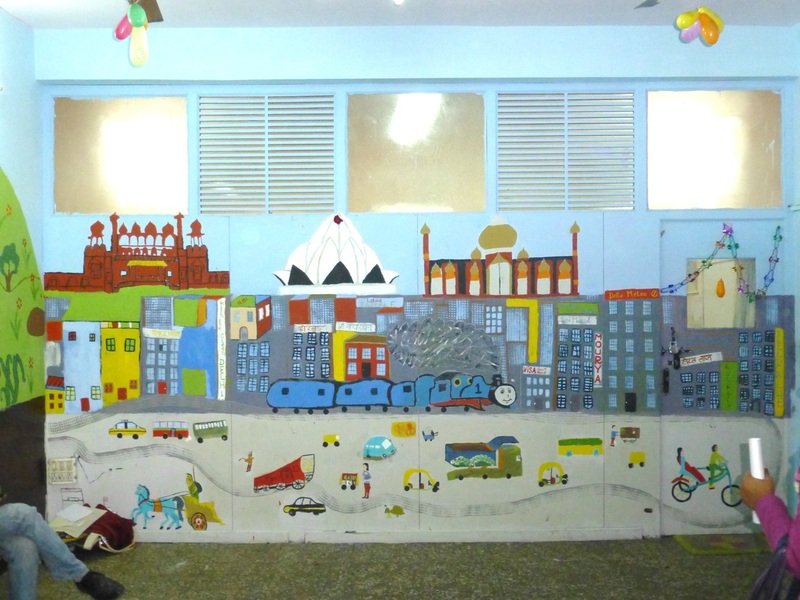 We've painted more than a dozen murals and conducted many workshops. 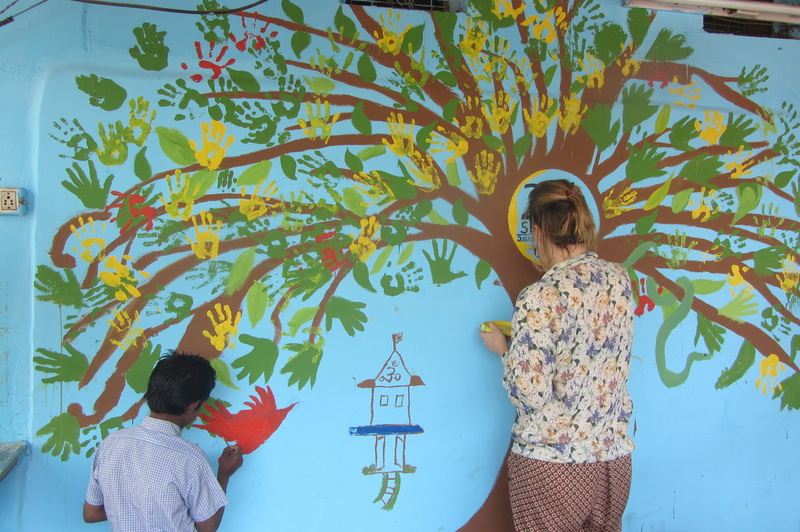 Although our Volunteer Residencies are short-term collaborations, we believe they have a long-term impact. The intense surge of creativity, the thinking outside of the box, the fun, the colour, all offer the children new exciting opportunities and in many cases a transformative experience. Your presence gave our children a sea of opportunities to learn new things and look at things differently. You have inspired them to do things in their own ways. Nothing could have been better than this. 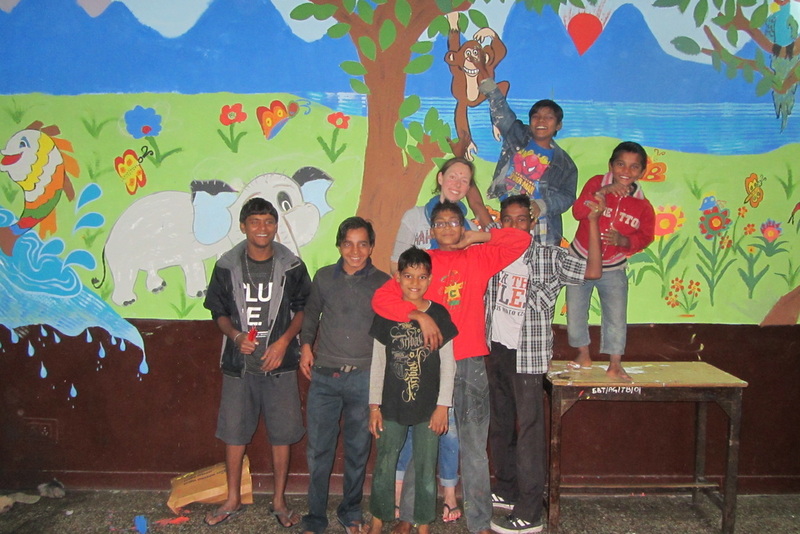 And of course at the end of the residency the children get to live with their creations. 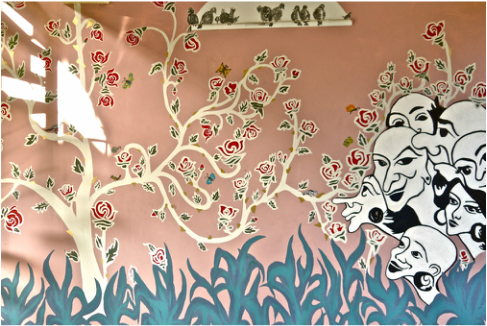 Like all of the kids, Hemant had only previously done art on paper, ‘I liked very much having the chance to paint on the walls and decorate my own space,’ he said. Chota Raju agreed. He loves ‘looking at my work every day’ and would like to learn more. Sonu Pradip was very excited about the project from the beginning, but he imagined something much smaller scale, ‘just one wall’. He was happy to see so many walls involved, ‘even outside, so in the winter when we sit, we can feel our work. 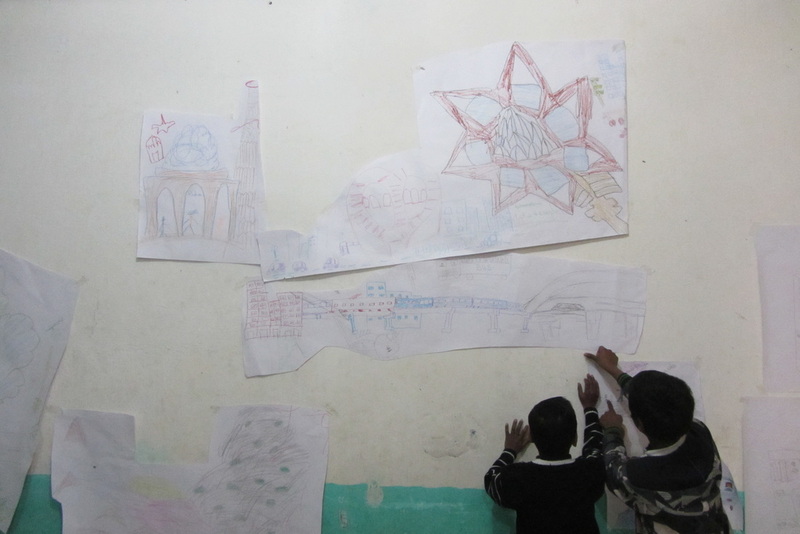 During our residencies we met children who wanted to develop their creative skills further. 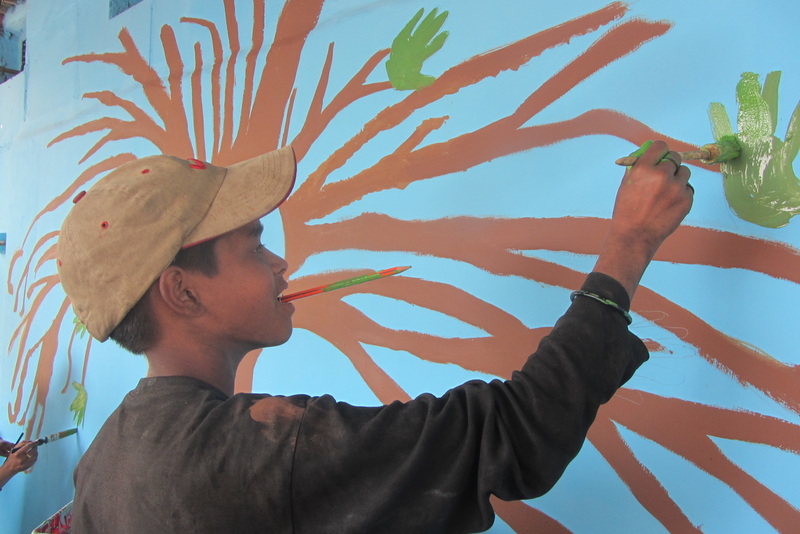 Deepak's talent and passion were noticed by Artreach artists and thanks to them he was given the chance to pursue his dreams of becoming an artist. From the Karm Marg home in Faridabad he moved on to study fine art at the International Institute of Fine Arts in Modinagar -- where according to his teachers he is one of his year's most talented students. To offer more children like Deepak opportunities to explore and develop their talents, Artreach has launched an annual Teaching Fellowship. Through a sustained long-term engagement with a teaching artist, we hope many more young people will be empowered to follow their dreams as artists or embark on careers as creative professionals. Watch the participants of our first Teaching Fellowship speak about their experience and understanding of art. 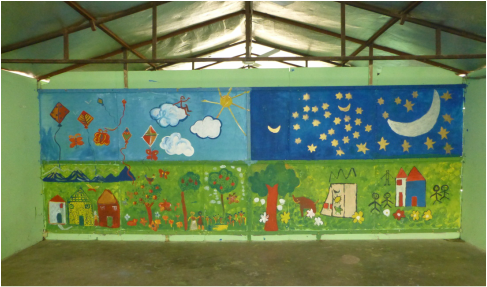 To learn more about individual experiences with Artreach, have a look at the testimonials below, from the artists, the children who participate, and those who teach and care for them. 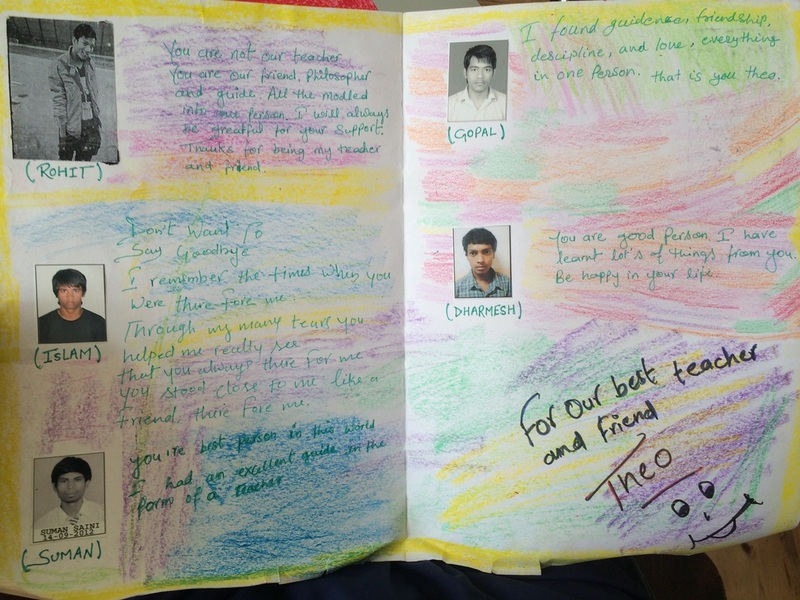 It was great fun to get to know the boys individually and to teach them but also to learn from them at the same time. 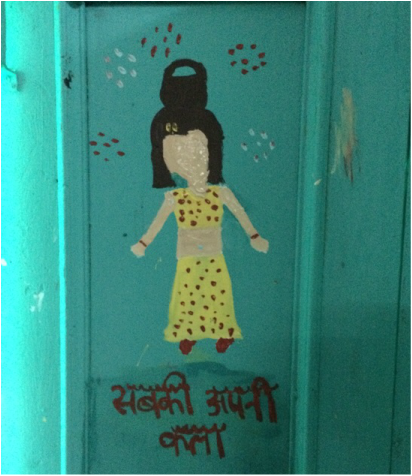 I learnt about their lives before joining the trust, aspirations and outlooks on life all of which was fascinating and illuminated the amazing work the Salaam Baalak Trust does (as well as the latest gossip on famous Bollywood actors). I loved teaching the boys English; watching them improve was very rewarding and they showed great diligence during the lessons.